As of today, February 9, 2015, there are a total of 149 condos on the market in Mammoth Lakes. It’s pretty unusual to have the inventory climb during the middle of winter/ski season, which is typically the time of year when inventory tends to be at its lowest based on historical averages. In reviewing the inventory numbers for late summer of 2014, there were a total of 140 condos on the market during the middle of August, and only a small increase from that number over Labor Day weekend to 146 condos. Labor Day weekend tends to mark the peak of the inventory for the condo market. We will usually see a sharp decrease in inventory as we approach ski season, as many condo owners will hold onto their units to capitalize on potential rental income. However, this has been an unprecedented drought year – the worst drought year on record so far for Mammoth Lakes/Mammoth Mountain ski area. So, it isn’t surprising to see the condo inventory growing. If this lack of snowfall continues, it will be interesting to see what the inventory may grow to after Canyon and Eagle Lodges close for the season (usually around April 15th), which is usually when you see the condo inventory grow. Currently, the Mammoth Lakes MLS has a total of 138 condos on the market priced between $120,400 and $1,399,000. The Bridges T27 Town House: This is a 4 & loft, 4-bath with sweeping mountain and valley views towards the east. Listed for $998,000, this spacious town home consists of 4 levels and has 2,450 SF with an attached 1-car garage. The sellers have done a spectacular job on the remodel. From the flooring up to the ceiling, everything has been upgraded with high quality materials and fixtures. 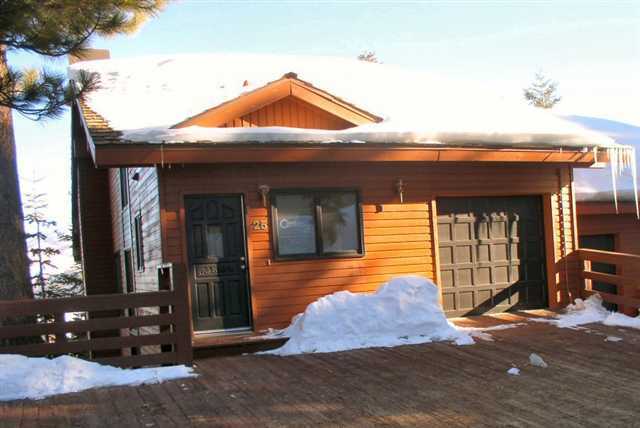 Located adjacent to the ski slopes at Eagle Express, this is a fantastic rental property with a floor plan that accommodates large groups well. There are two master suites and two guest bedrooms. Monthly HOA dues are $592.00. There are currently a total of 134 condos on the market in Mammoth Lakes with the lowest list price of $126,700 for a Conestogas studio & loft bank-owned unit and the highest list price for a Juniper Crest, 4-bedroom, 3.5-bath with attached 2-car garage at $1,399,000. Out of the 134 condos on the Mammoth Lakes MLS, there are a total of 45 condos listed between $126,700 and $300,000, 45 condos listed between $300,000 and $500,000, 23 condos listed between $500,000 and $800,000, and 21 condos listed between $800,000 and $1,399,000. 1849 I # 103: $499,000. This completely remodeled 2-bedroom, 2-bath condo located in phase I of the 1849 condos complex features 1,150 SF of living space, 1-car underground parking, steps from Canyon Lodge, amazing views of the ski area, enclosed patio, which provides passive solar heat, new appliances, EPA wood-burning fireplace insert, washer and dryer in the unit and more. The unit is being sold furnished. The sellers are currently renting the unit through VRBO.com with great rental income history. Monthly HOA dues are $621. Turn-key and ready to go! Juniper Springs Lodge condo hotel is situated at the base of Chair 15/Eagle Express. The development was built in 1999 and has a total of 174 units. This building is the “hub” of the Juniper Springs Resort, which is comprised of Juniper Springs Lodge, Sunstone, Eagle Run and Juniper Crest. Central check-in is located at Juniper Springs Lodge. None of the other complexes have a front desk. For this reason, buyers will need to secure private money to finance a purchase, or come in with cash. There are no conventional lenders that will finance at Juniper Springs Lodge. This is due to the “condo hotel” classification that many resort areas are facing (when there is a front desk/check-in located on the premises). There are a few lenders (private funds) who are now lending on these condo-hotel style complexes, but require a higher down payment and interest rate. Sunstone Condos, located right next door to Juniper Springs Lodge, and right on the ski run, is eligible for conventional lending with 20% to 25% down. Eagle Run is the last of the three bordering the ski run at Eagle Express. These condos are truly “ski in, ski out” and conventional financing is available. Juniper Crest is considered the higher-end development of townhomes, some with breathtaking southern views, situated behind Juniper Springs Lodge. 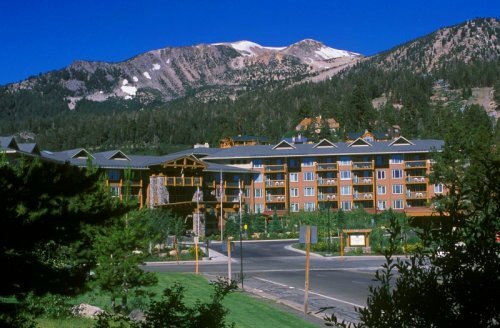 Because of the financial crisis of 2008, lenders have made qualifying for a loan (for both the applicant and the property classification) extremely difficult, which continues to impact the potential to finance a condo purchase in Mammoth Lakes. This is mostly due to the potential “condo hotel” classification that lenders will assign to complexes that have a high percentage of nightly rentals, full-time tenants or have an on-site rental office. For the buyer who needs to finance a purchase, the loan process has become very tedious, stringent and frustrating. Not only does the buyer have to be “gold plated” to qualify for a loan, but the complex itself must have “project approval” by the lender before getting started on the process. Without “project approval” the buyer is risking money spent on an appraisal, home inspection, etc. In the event the lender finds that there are too many nightly rentals or full time tenants, they will ultimately reject the loan. This happens frequently with out of area lenders.